Bethany has been practicing as a pediatric physical therapist for 12 years. She received her Doctorate of Physical Therapy degree from Northern Arizona University and her Bachelor’s degree from Ohio University. In 2017, she became a Board-Certified Pediatric Clinical Specialist. She has worked in a variety of pediatric settings including inpatient, outpatient, private clinics, school systems and home health. 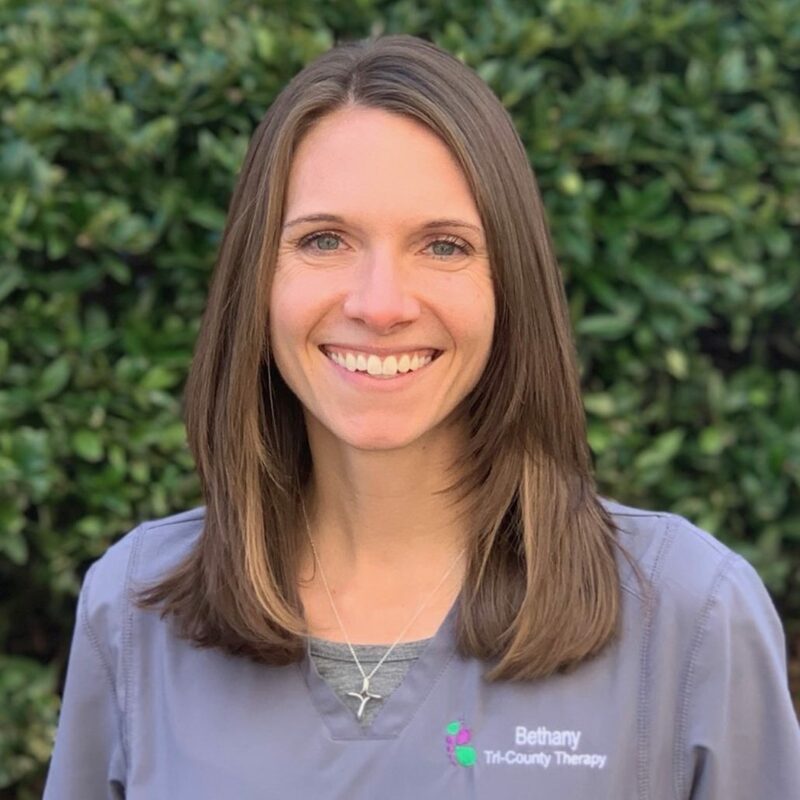 Bethany has a passion for pediatrics in general and specializes in the treatment of Torticollis and Developmental Delay. Bethany is married to Garrett, and they have 3 amazing children, ages 6, 4 and 2. They have just relocated to South Carolina from Arizona and are excited to start their new season of life here. Bethany is also an avid runner and enjoys anything in the outdoors!